How do I hide items from Customer Groups? When using Customer Group Security settings, you can limit access to categories and products so that only certain customer groups can access or purchase them. 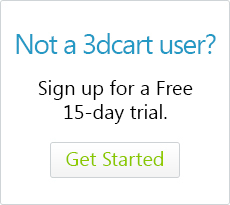 For example, let's say you have a customer group created for your wholesale customers. Wholesale customers not only get special pricing, but they also have specific categories and products that are available only to them. Using our Customer Group Security tutorial has allowed you to limit access to these categories and products to only customers within the wholesale group so that they have to log in before purchasing these products. 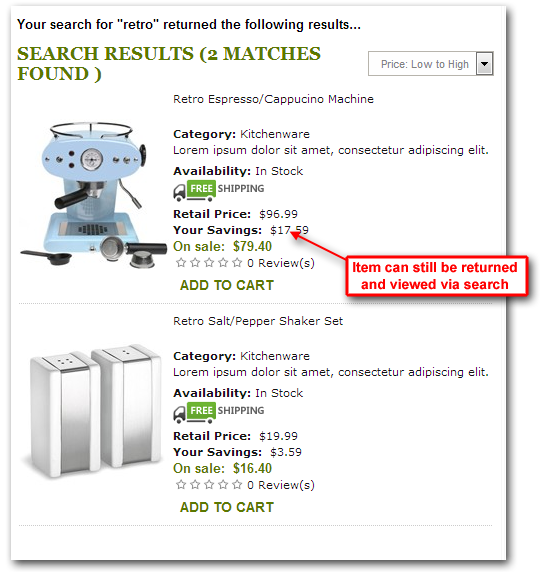 In our example, the Espresso Machine product is restricted to be purchased by Wholesale group customers only. In order to purchase the item, a shopper will need to log in to buy the item and they will need to belong to the Wholesale customer group to complete the purchase. Price Level 2 is used for the wholesale group, while Price Level 1 is the normal, retail customer price. Now, even though the store's retail customers cannot ever purchase the item, they can still see the product on the store's listings and search results. However, you may also want to hide products altogether from the non-wholesale customers as well. To do this, you would use the "Hide on this level" option of your product's price level settings. You can also look to the far right and click on its Action Wheel to select "edit"
Now proceed to the product's "Advanced" tab. Within the pricing level area you will see the individual price levels shown on the product. To the right of each Price Level listing, there is a small checkbox labeled "Hide on this level." This checkbox can be used to specify individual pricing levels in which the product will be hidden from view. 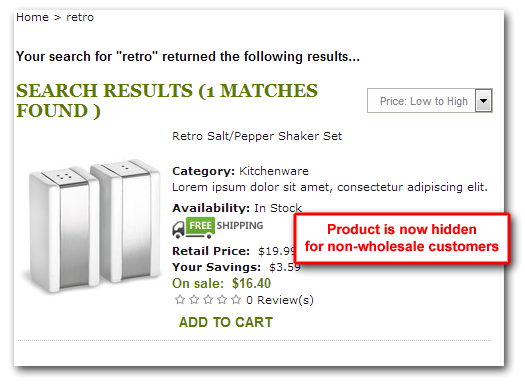 Click "Hide on this level" for any pricing level you would like to have the item hidden from. Repeat for other products as needed. After saving, the product will only display for users who log into their respective accounts and only if they belong to a customer group that uses the unhidden price level.